This monthly roundup from September, 2016 dedicated to the most awesome and completely free WordPress themes. These are the top quality and made by known companys who gives you great support and fit for all kind of blogs or websites. In this list is carefully selected themes who have the premium standards and is very easy to use for a lifetime. 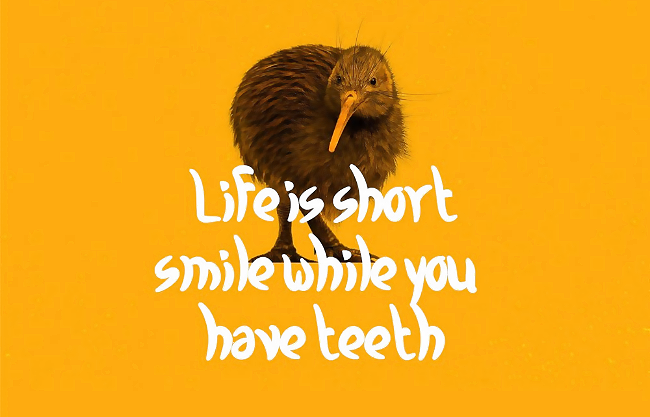 So, let’s go to the list and Enjoy! 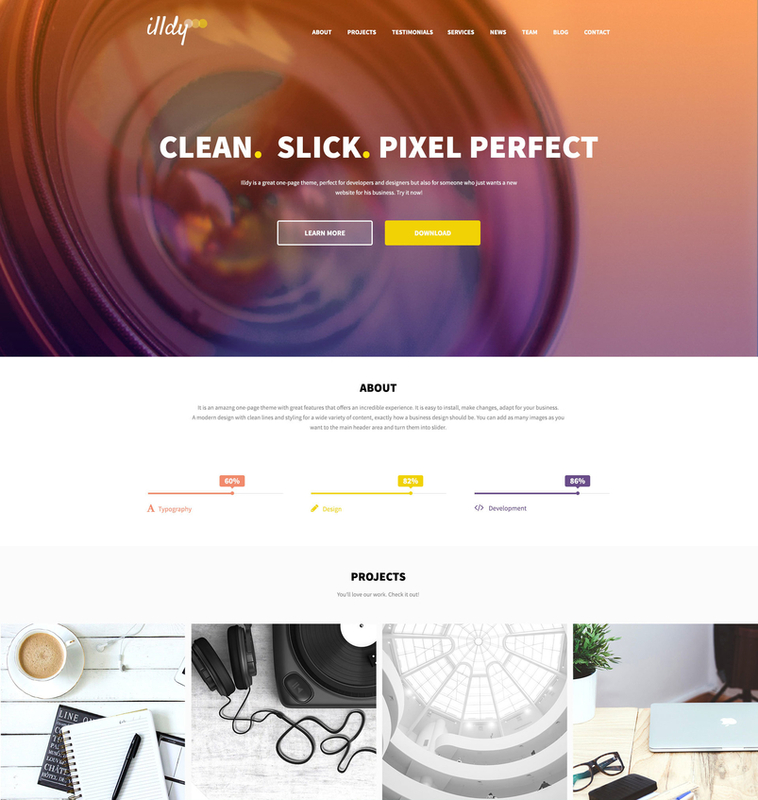 Clean lite Multipurpose WordPress theme has many types of elements on the homepage which are quite unique to other themes plus it supports shortcodes inbuilt as well as plugin shortcodes. 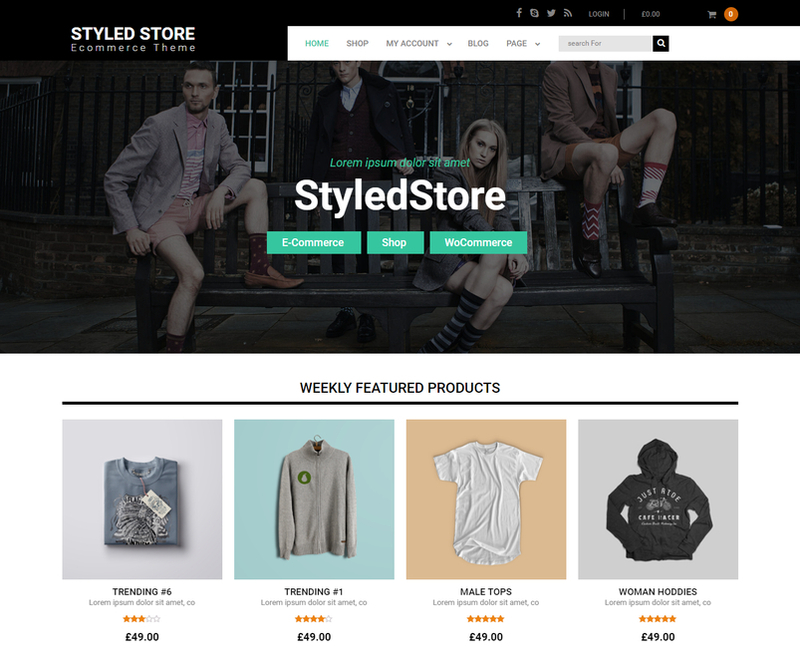 Styled Store is a WordPress ecommerce theme as the latest addition to our Styled Themes. 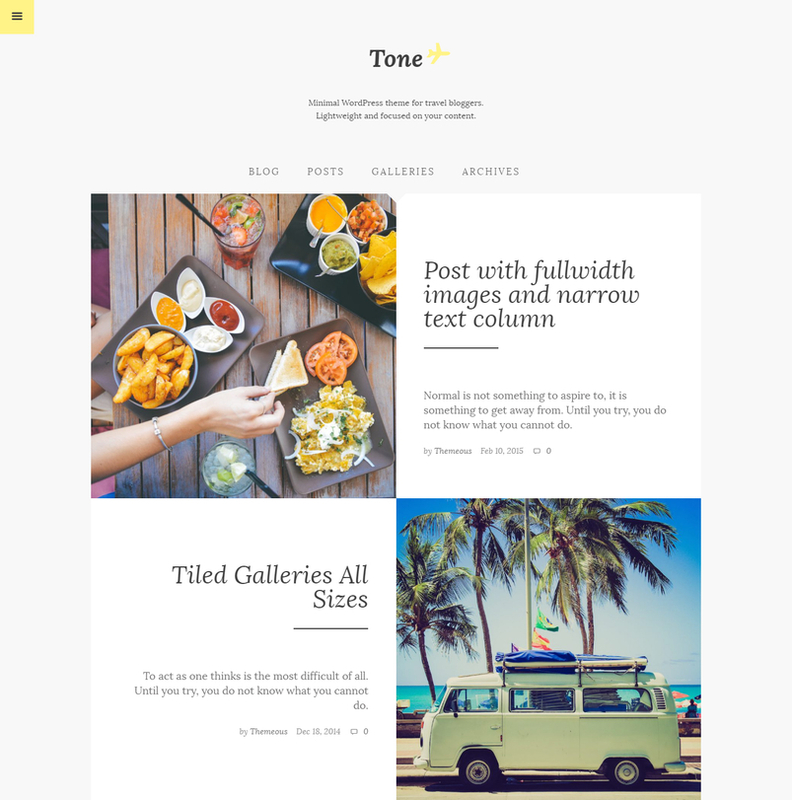 This theme is designed to provide clarity, maximum content exposure and ease in navigation. We have kept thoughts about the novice WordPress users as well as the advanced developers while adding features in this theme. 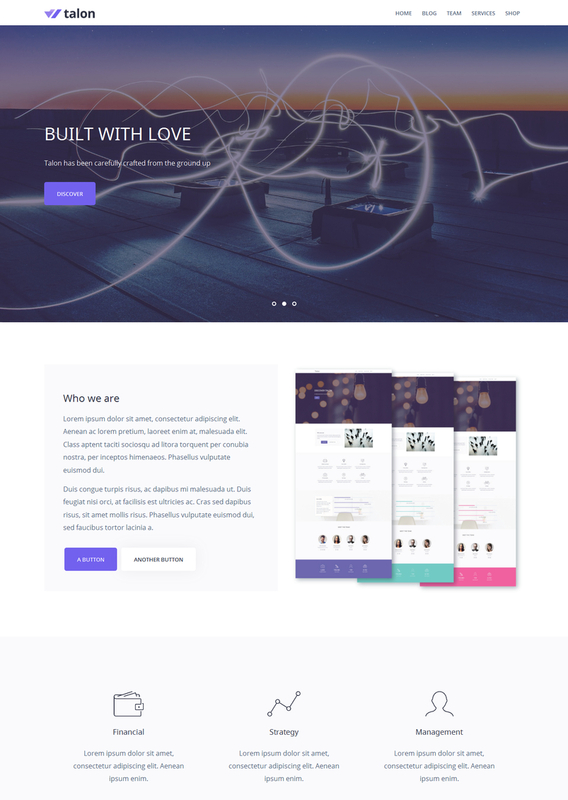 Onefold is a fully responsive, SEO-friendly WordPress business theme ideal for businesses who want to leverage the power of WordPress to build their company website with a clean, professional design and features. 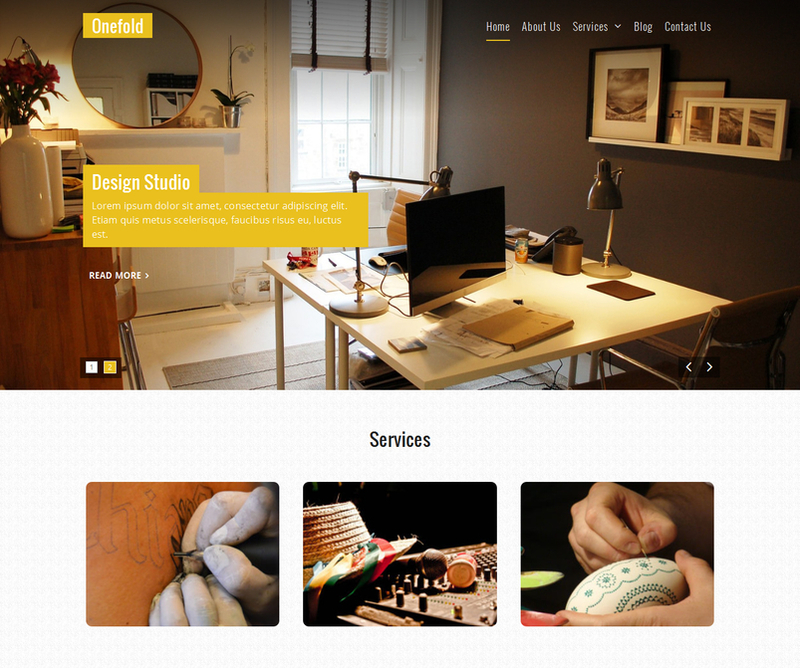 An elegant design and lots of features of the theme will help grow your business and your brand. 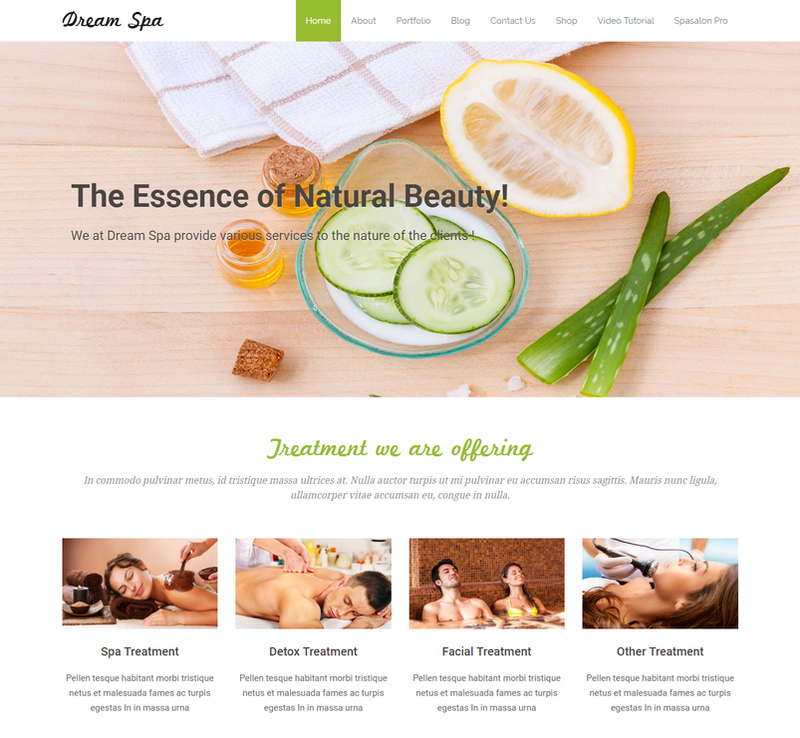 This theme is suitable for small, medium or big corporation with need for advanced online presence which can impress new visitors and attract new clients. 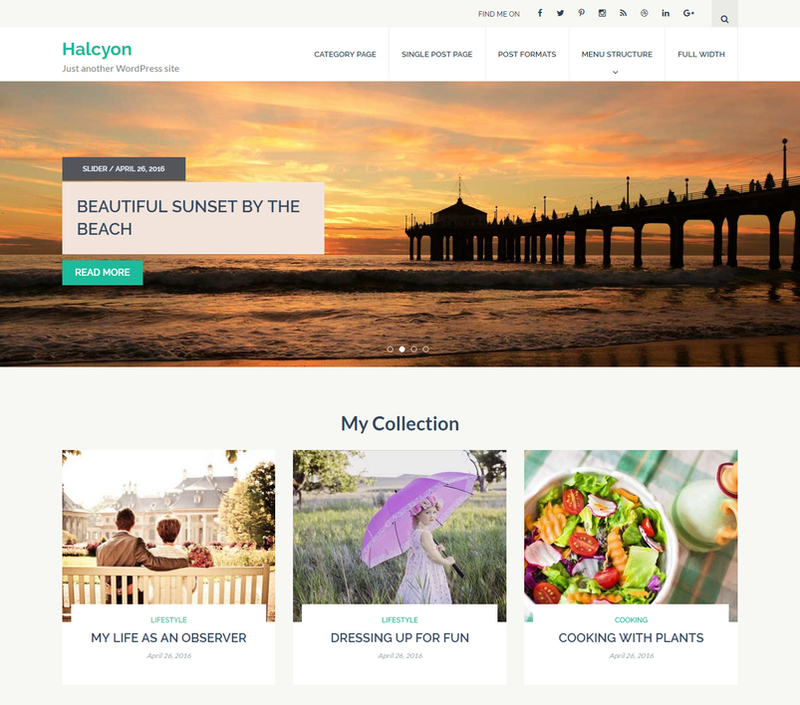 Halcyon is a responsive WordPress blog theme ideal for the one who likes to share their stories in a simple and elegant way. The theme is designed with the focus on ease of use, readability and robust performance and offers the perfect combination of aesthetics and functionality. 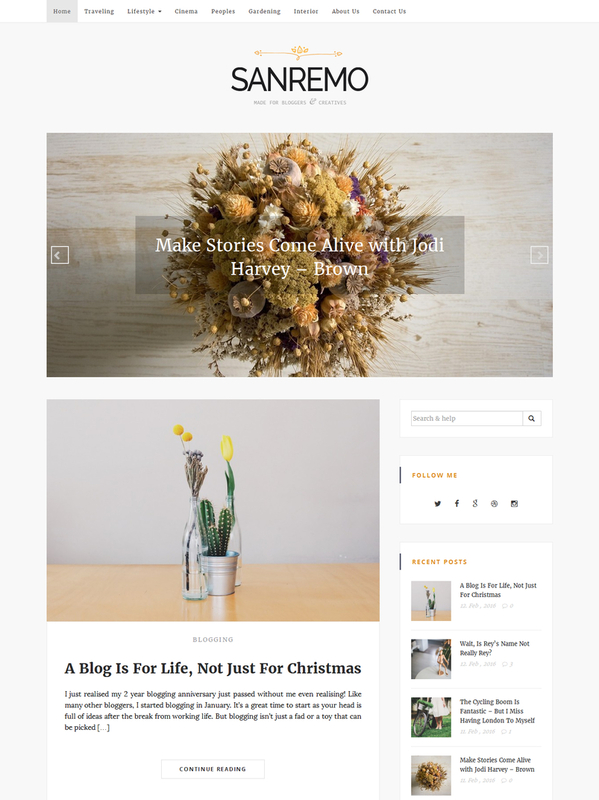 With the minimalistic, elegant and clean design wordpress theme Sanremo gives you a gorgeous base to present your favourite blog entries and photos absolutely for free. Sanremo theme is Responsive, meaning that your WordPress website can show up on most modern devices. Useful social sharing widget, simply but elegant slider, carefully crafted elements create a perfect and harmonious website for you, making it the perfect choice from a simple blog. Hotel-Melbourne is a responsive and fully customizable template for Luxury Hotel and resorts theme. 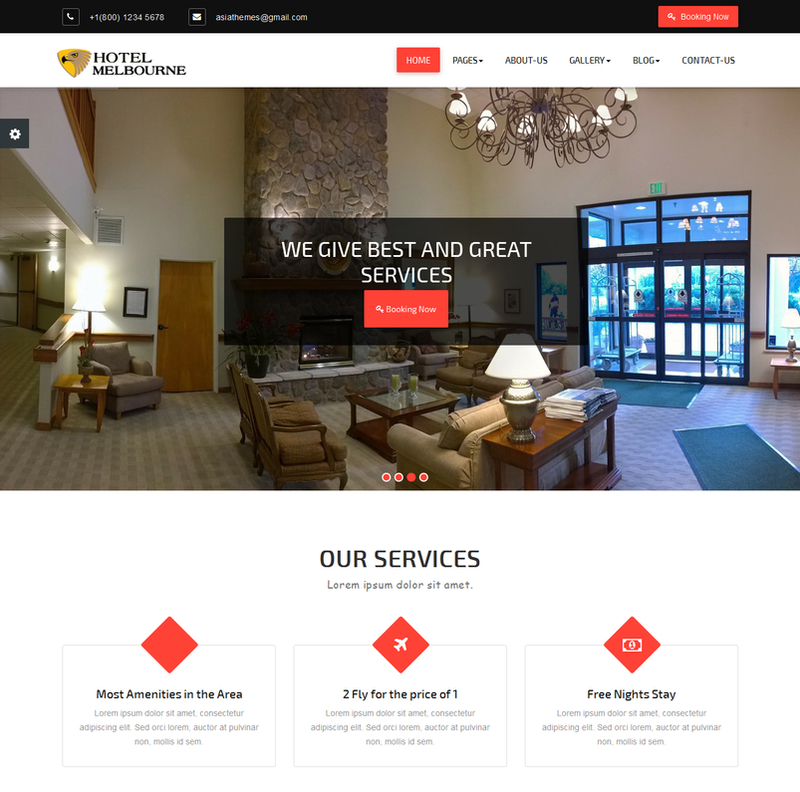 The theme has You can use it for your resorts, hotel or any type of site. Custom menus to choose the menu in Primary Location that is in Header area of the site. which is ideal for creating a hotel / resorts website. Hotel-Melbourne is Retina ready. We focused on usability across various devices, starting with smartphones. Hotel-Melbourne is a Cross-Browser Compatible theme that works on All leading web browsers. 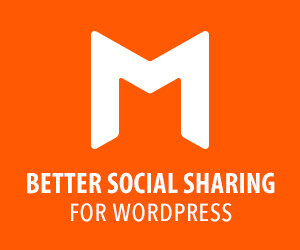 In header area and footer of the theme offers Social Media Links to add your Social Links here. translation ready and many more. 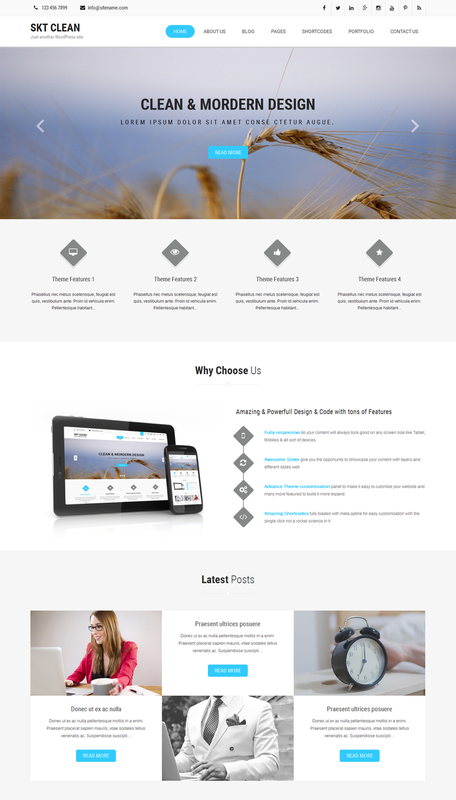 Lesse Lite is a responsive multipurpose theme. 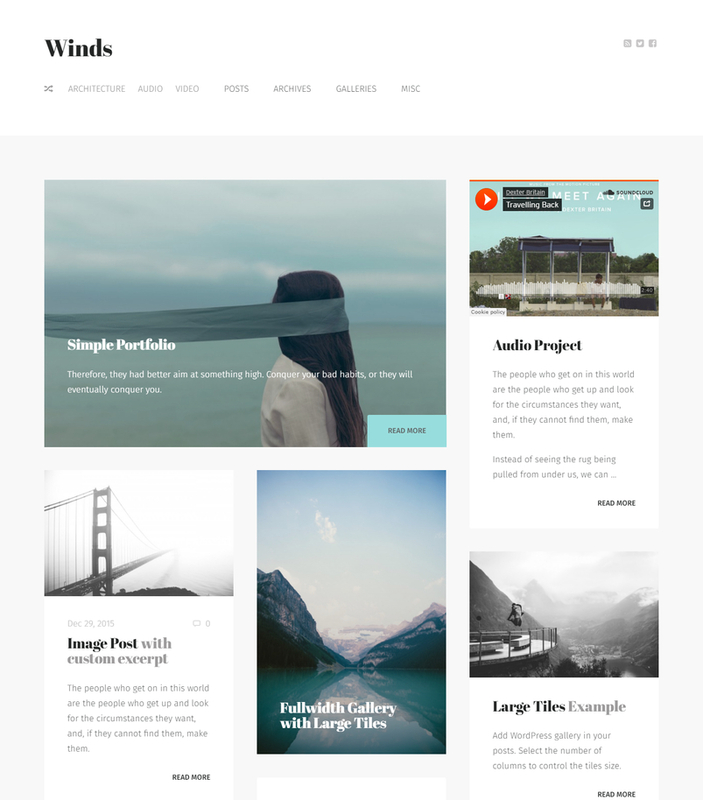 Blog and Photography WordPress theme- beautifully designed especially for storytellers and content creators. 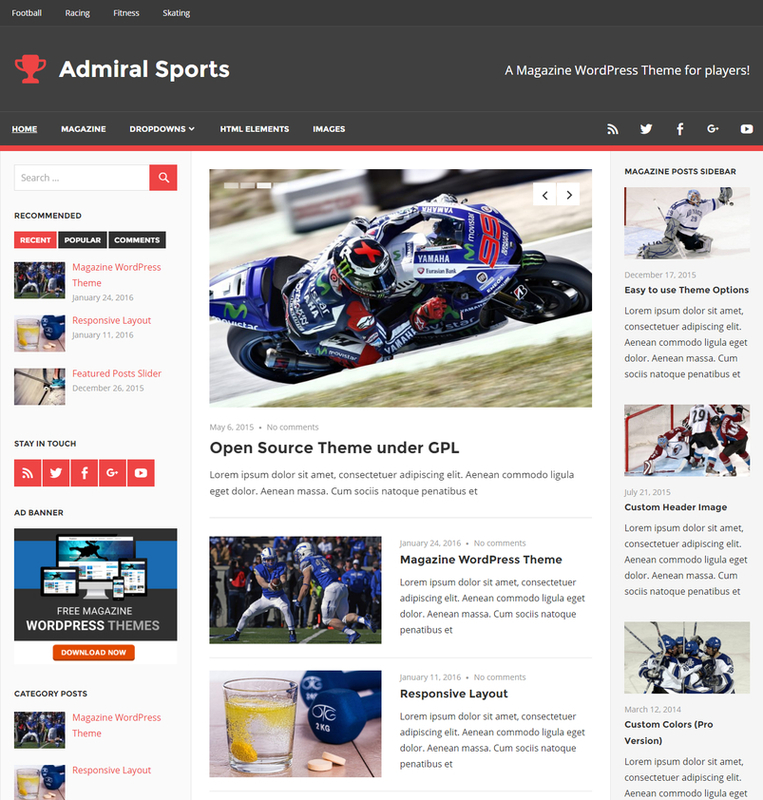 It’s a simple yet powerful WordPress theme with unforgettable design and SEO optimized markups. Snowbird supports every native WordPress features, and extended with professional tools for ease of use. 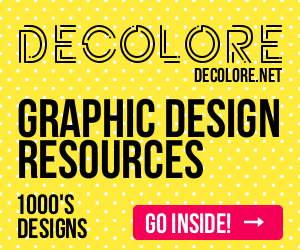 With beautifully crafted typography it works fast, seamlessly on all devices. 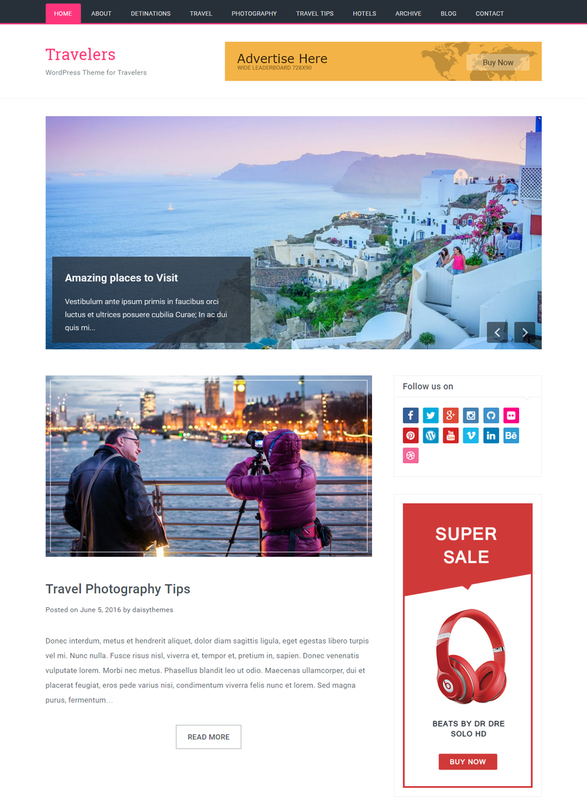 Travelers is a WordPress Travel Blog Theme built with Bootstrap and is fully responsive for all the screen sizes. 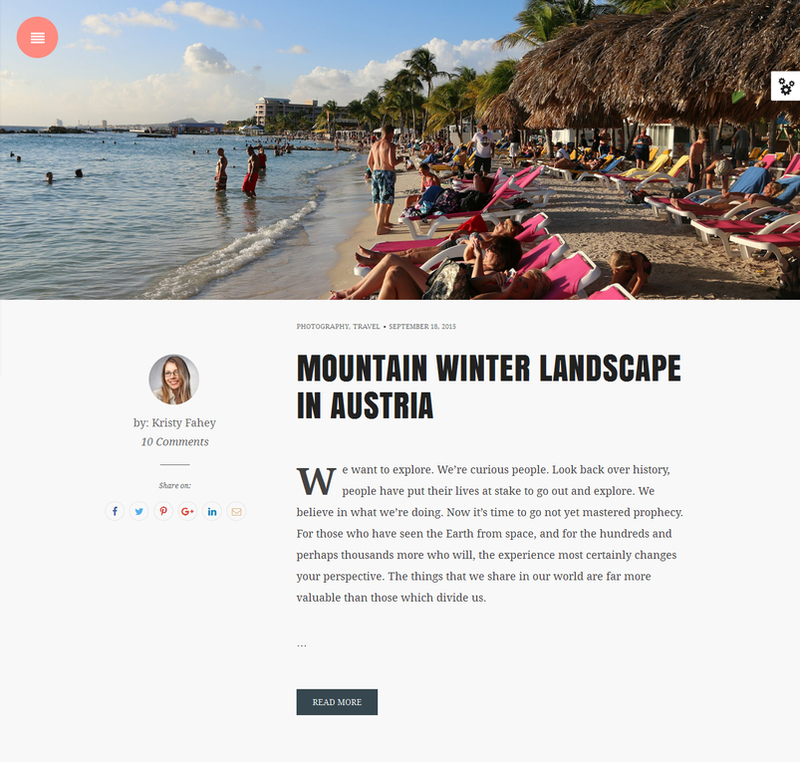 Expedition, a clean and professional Travel Theme that looks awesome on any device. It is really simple to configure the site yourself. 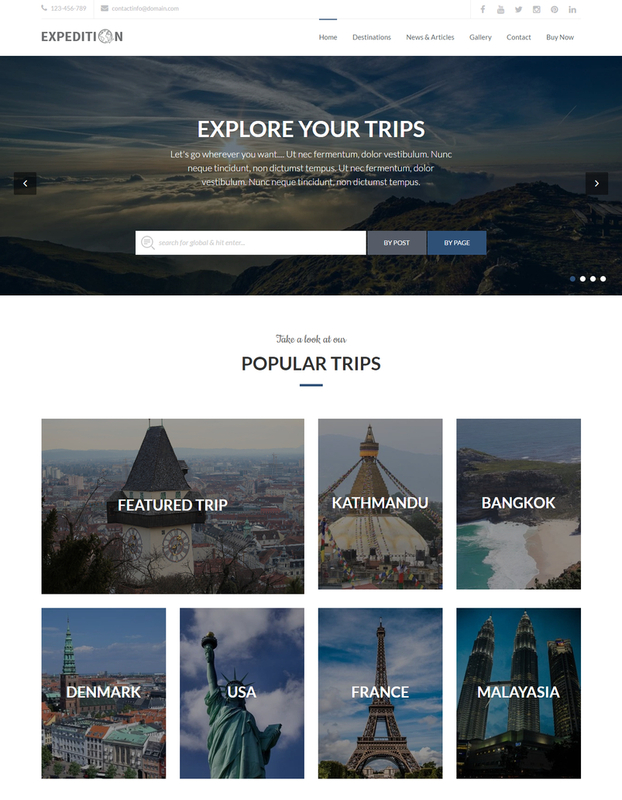 No single coding is required to develop this travel website. 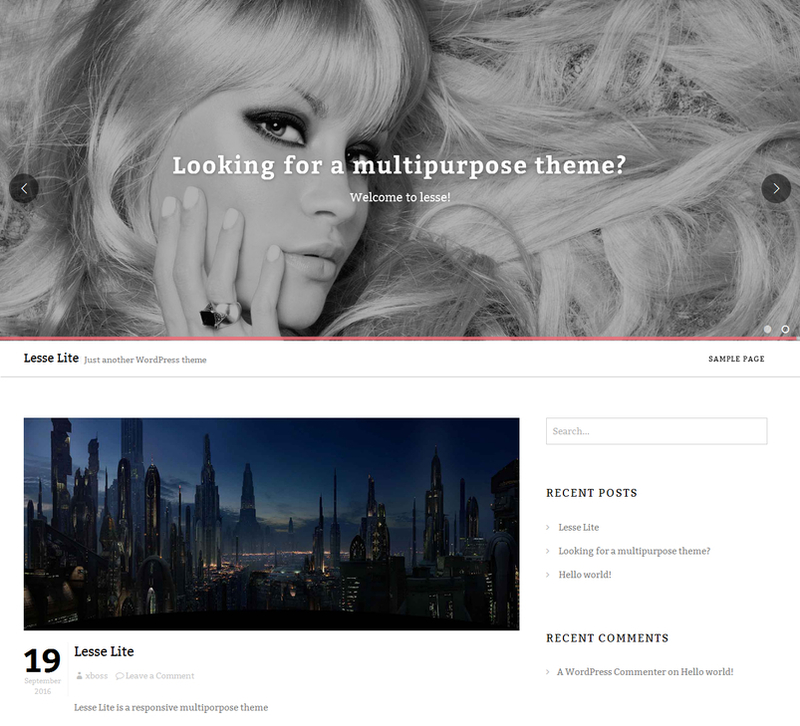 Along with the amazing layout this theme is customizable and one of the powerful theme options.